Here Are Two of the Best Wine Festivals on 30A! Adventure Awaits on the Timpoochee Trail! Explore the Best of 30A’s Beautiful Scenery with Backwater Tours! Dive Into the Best Experience at the Underwater Museum of Art! Where Is the Best Seafood in 30A? What Are the Best 30A Fishing Charters? In Town for the 30A Songwriters Festival? Stay in a Beachfront Condo! You’ve got a friend in “beach” places. Laboring over what to do this weekend? Do you pack everything but the kitchen sink? We have the corner on luxury condos at Adagio! What are the Sweetest restaurants in our area? What does Your Friend at the Beach do during the off-season? Woman, Wine and Wonderful Weekends! Where on 30A is our favorite place to bike for lunch? ‘Tis the Sea-Sun! Why Christmas at the Beach? Why 30A is one of the best places to bike! Five Reasons YFAB Is Thankful This Thanksgiving! Where’s the best place to hold the family reunion this year? What Are My Six Favorite Things To Do At The Beach? Planning Your Family Beach Vacation? We’ve Got the Inside Scoop! Which Villa Coyaba beach front condo is my favorite? Eeny meeny miny moe….To which San Remo condo should I go…..? Which is your favorite Adagio condo? 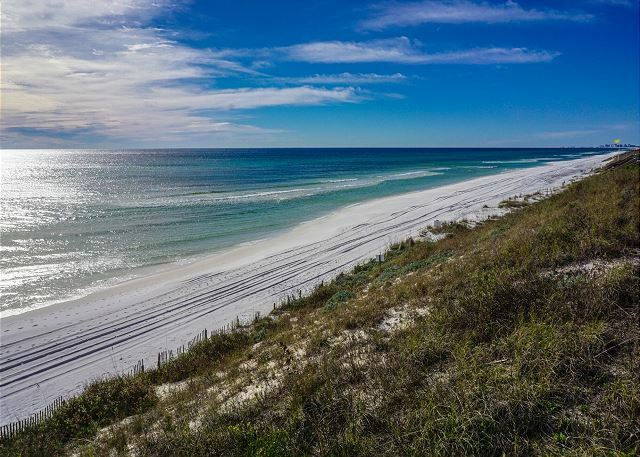 Emerald Coast Beaches in Fall? You Bet and Here’s Why!